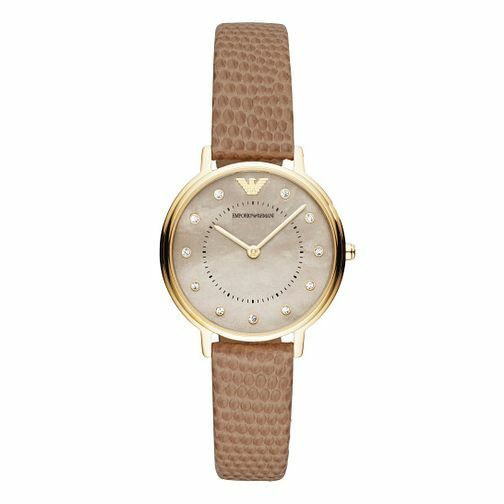 With a history steeped in refined cutting edge Italian fashion, and a clean aesthetic, Emporio Armani presents this beautiful Ladies' yellow gold plated kappa watch. This is the watch you need, when you're in search of some understated style. Featuring an eye-catching 32mm mother of pearl dial, protected by mineral crystal glass. This watch is impossibly stunning, the textured taupe straps and crystal indices give this timepiece a wonderful fashionable finish.